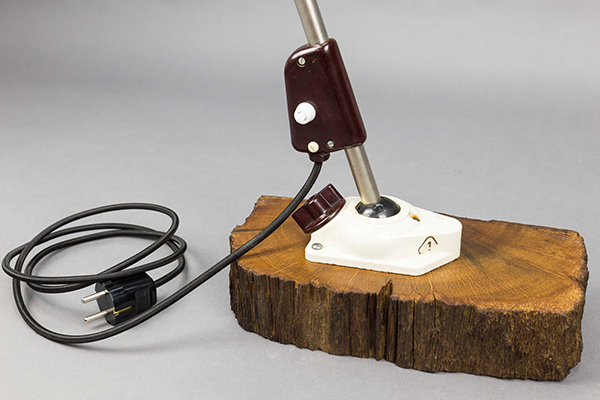 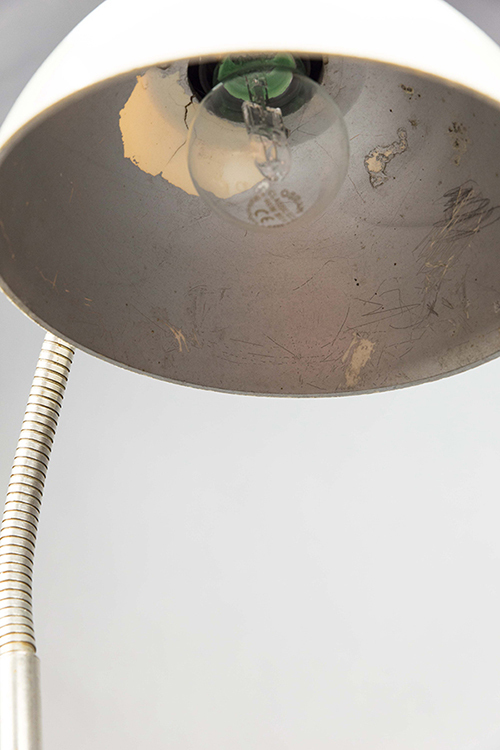 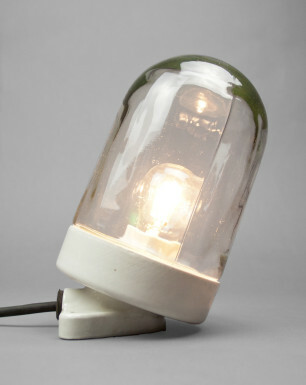 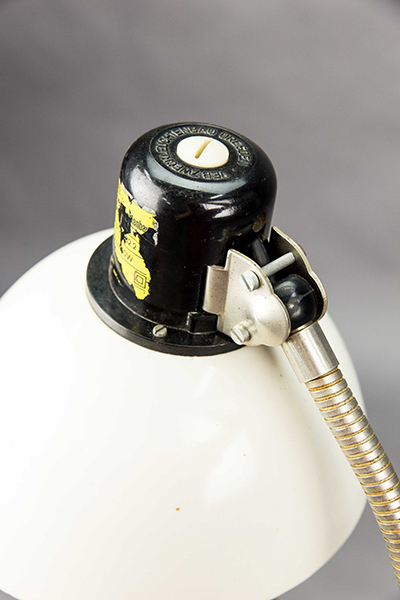 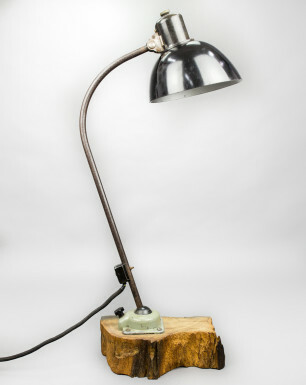 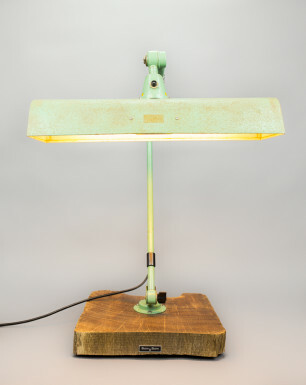 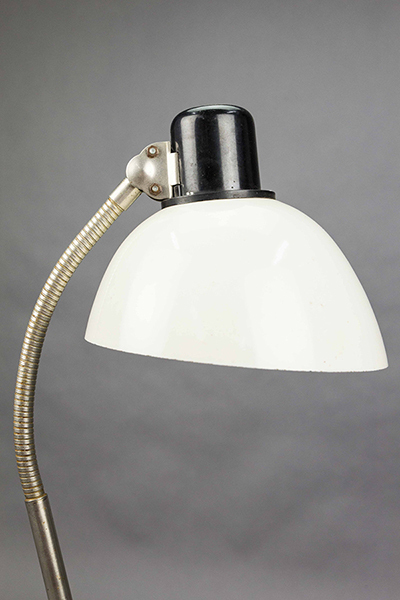 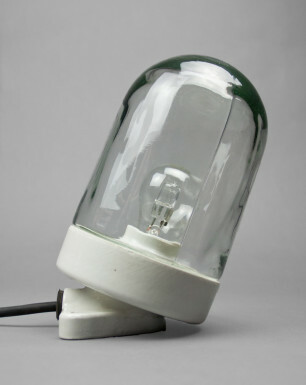 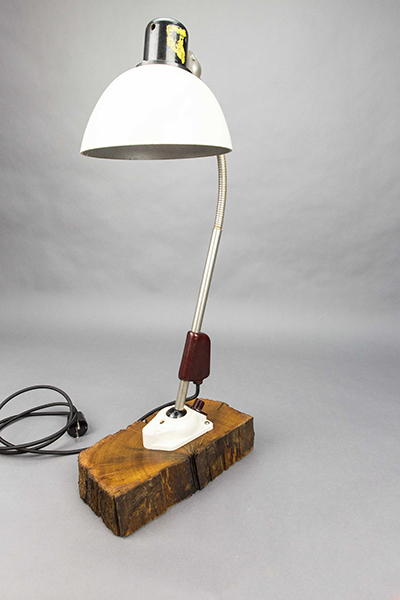 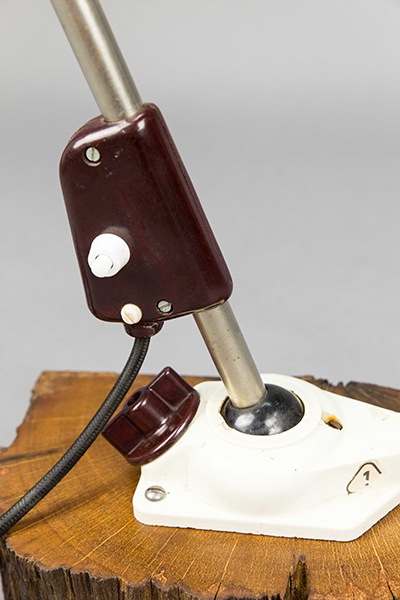 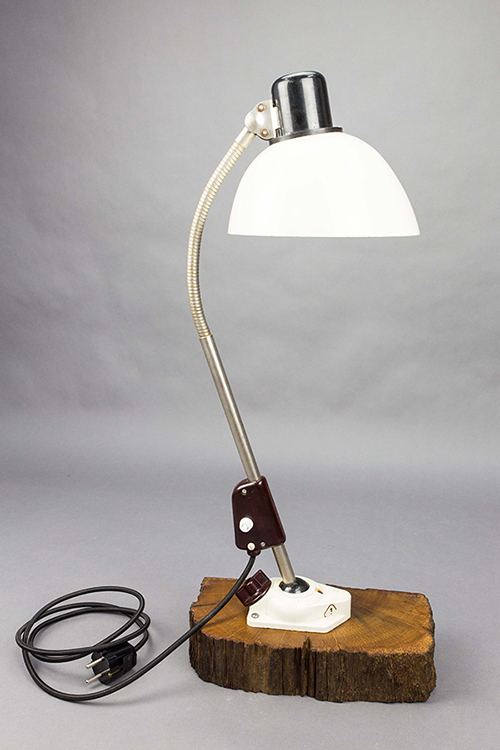 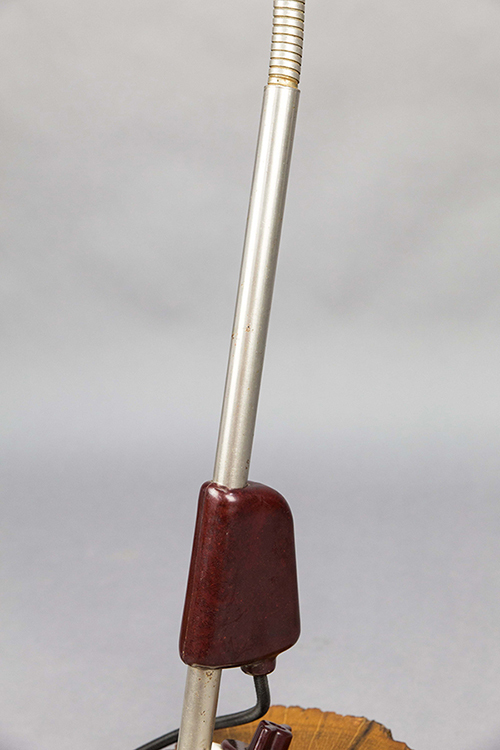 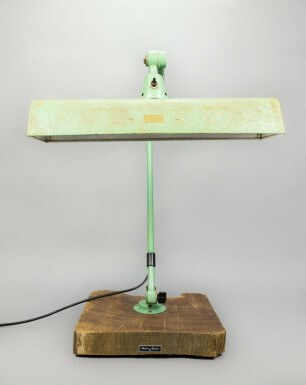 This sophisticated desk lamp was designed by the german light manufacturer ‘VEB Zweckleuchtenbau Dresden’. 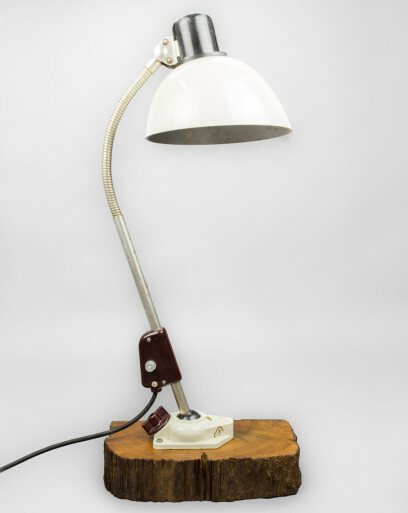 Its straightforward design perfectly illustrates the distinctive ‘form follows function’ principle that has been prevalent in the 1930s industrial era. 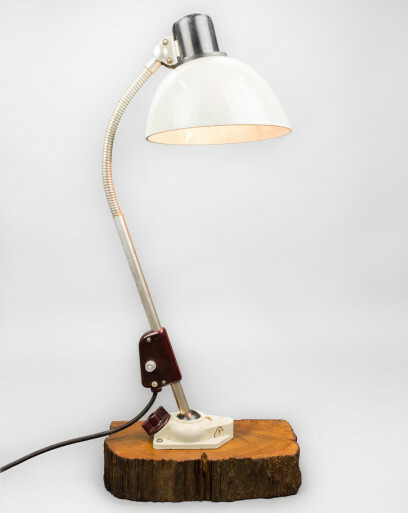 The Rosy Boa features a fully adjustable bakelite shade and a flexible arm connected to a ball-joint. 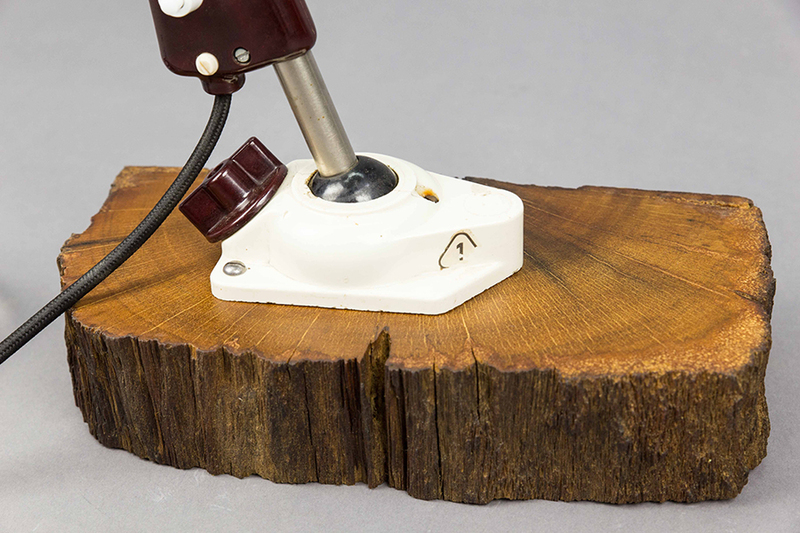 The fixture was initially mounted directly onto the desk but has now been placed upon a slice of Azobé wood, creating a sturdy socket. 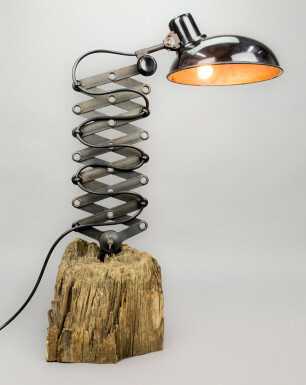 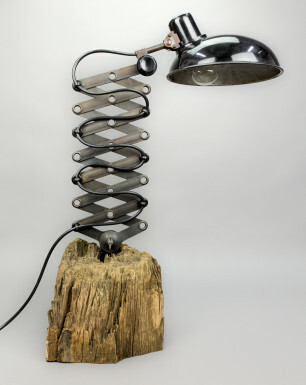 Together with the ‘Black Mamba’ this fixture was salvaged from the remains of a German ‘Kunstlederfabrik’, a manufacturing company where artificial leather was produced. 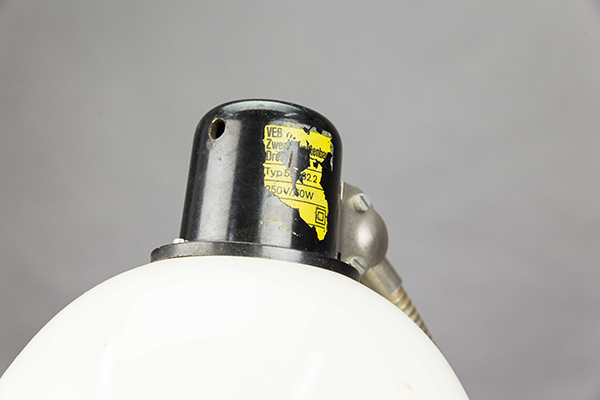 The lamp was found in one of the workshops in the main building.